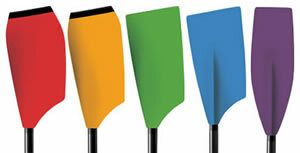 Concept2 offers the following blade colours in addition to our standard white. These colours are available at an additional cost of £20.00 per blade and longer lead times may apply. There is no additional charge for the standard white.